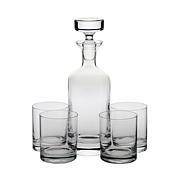 Add some a playful elegance to your table or bar with the Distinctive collection. The time-honored wedge and fan cuts play off each other while never looking too planned. They're a perfect way to cap off any party, casual or otherwise. Toast to good friends and your health; they'll toast to your good taste. 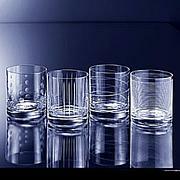 I was surprised to see Classic Waterford beautiful glasses , and the price was the icing on the cake. They are substantial and though I thought I would gift these, I may have to keep them. 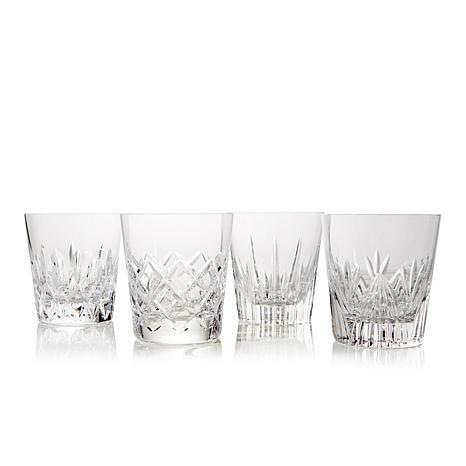 These are beautifully made crystal glasses and a beautiful addition to my Waterford glasses. These would be a perfect wedding gift. 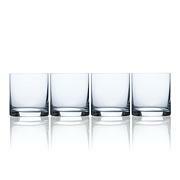 Great glasses to look at and to drink from. They are rather delicate, instructions say not to pour in ice cold or hot water. So far they are holding up with ice water poured in. 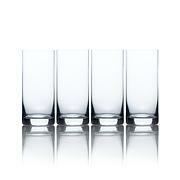 Everything about these glasses says Elegance.